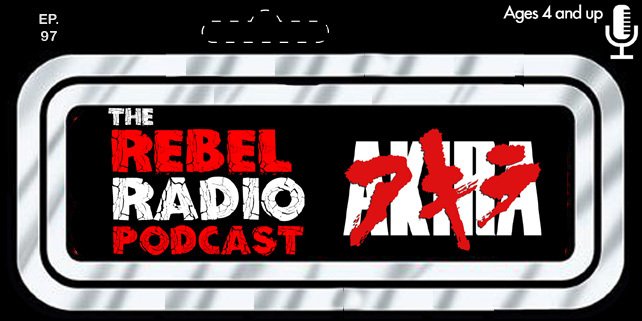 The Rebel Radio crew is back in the studio with a huge show! They are back from Comicpalooza 2016 and you heard the live show now hear the results from the fun they had at the show! They talk about the goods they bought, the celebrities they spotted, the panels they witnessed, and more as they talk about Comicpalooza 2016! They also bring you some interviews starting off with You Tube stars Creepy Pasta Jr, and Miss Lovely Shadow as they talk about what it is they do on You Tube. A huge shout out to the one and only Robb Zipp for sitting in with Mark on this interview as it turned out fun! They are then joined by Ming Chen of AMC's Comic Book Men as he returns to the show for the 3rd time as we catch up with him and what he's been up to. We also have the talented Chuck Huber of Dragon Ball Z fame as we talk about what is going on his world of voice acting, Star Trek Continues, and more! We don't just talk Comicpalooza 2016 as we discuss the 30th Anniversary of Big Trouble In Little China and why we love the film so much! We also get a little lost discussing other things such as the new Ghostbusters remake and various other going on's in this super sized episode of the show that we hope you enjoy!